The Salford Branch of The British Sub Aqua Club (BSAC) was formed over 35 years ago. We have over 40 members of all grades ranging from Ocean Diver up to First Class. Living as we do in the Manchester area it is clear that a lot of travelling is involved and this is part of the cost of diving. Our nearest diving sites are 130 miles away and we often travel twice as far for a weekend outing. Two swimming pool try dives are offered to all prospective members and are free at quiet times of the year. Pop down to see us on a Monday night for a chat. we meet every Monday between 8pm and 9pm in the Main Pool at Fit City Broughton Pool, Great Cheetham Street West, Salford M7 9DN. Alternatively at the nearby Cricket Club following the pool on Mondays from 9.30pm, (26 Catherine Road, Crumpsall, Manchester, M8 4HF) until close. 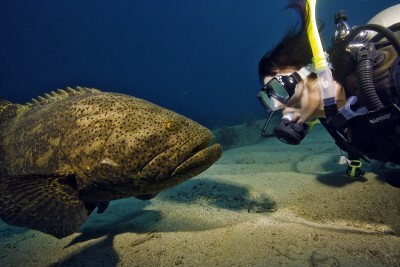 Its November and the weather is still warm and it is very tempting to say lets carry on diving! Capenwray anybody? Following on from the success of the Red Sea trip we discussed a number of courses many divers would benefit from these ranged from learning rescue techniques using oxygen, weight management, and what about finishing off sports, dive leader etc? It is the perfect time to look at what is needed and try and sort out! Next year we are are trying to arrange another year of exciting dives in different locations and you want the right qualifications to dive them. We have had three potentially new divers contact the club over the last few weeks, two have been down already and one is tomorrow night. The more divers we have the easier it is to arrange courses so please spread the word. See you all at the baths or the pub to discuss the above and book some trips. But that leaves a lot of months between now and those dates so it is time to sit down and talk venues and dates. Lochaline- Scotland best deal I can find mid week diving Sun-Fri £280 s/c and 5 days boat diving. 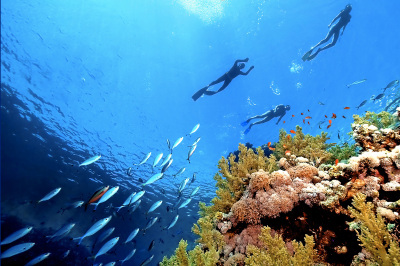 Diving looks spectacular -costs 5 days boat diving, air & s/c £375 based on 10 divers. Thats my starters for 10 what are yours? Really surprised this week after last weeks plans to fit diving in from now until December as I half expected plenty of contact for the planned dives in the near future eg Seahouses. We were very lucky to be offered dates including a potential weekend trip but as no takers I have let these go. If I am pitching in the wrong direction for possible trips please let me know! October and December are still pencilled in currently as are the Wednesday Capenwray events. Have a good week and do not forget if coming down after the pool it will now be the WOODTHORPE. Still on schedule with the current calendar, Novice exams were held last Monday at the Cricket Club! I am intending to arrange a number of Wednesday nights at Capenwray for trainees to get some more open water diving experience in pre-arranged trips. However these nights will be useful and not just for our new divers as I found out last time in, suit inlet valve has packed up (worn out) and letting in that quantity of water which makes for an uncomfortable dive better found there than on a week or few days away! At the Club Monday Seahouses appeared to be the destination of choice so watch the website, facebook or your phone and I will be trying to arrange a few days this month or next! Can you indicate if any interest? Last night at the Cricket Club tomorrow night. Please attend if you can as from next week it will be all change! Firstly apologises Capenwray will be Sunday 28th June meeting at 10.00ish! and not the 27th as previously published. This week anybody who needs to finish the last three lectures you are sacrificing the baths for all three together courtesy of Dennis at the Cricket Club 08.00 prompt start please. The following week is a pool session for trying out the club semi-dry wetsuits for the trainees ahead of the proposed Capenwray trip. Let us see who can one that fits? I see an update from Bill is he is still waiting the remainder of the balance for the red sea trip from a couple of people- please sort! More Dives will be added shortly. Roll on the good weather and here is for another good week!